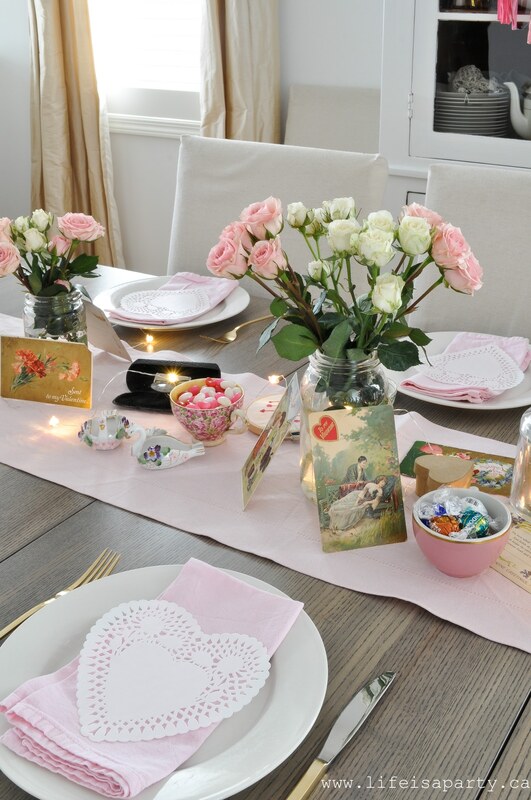 Valentine’s Day Eclectic Table -Valentine’s Day Table inspired by antique post cards and collected romantic treasures. Perfect for Galentine’s Day. 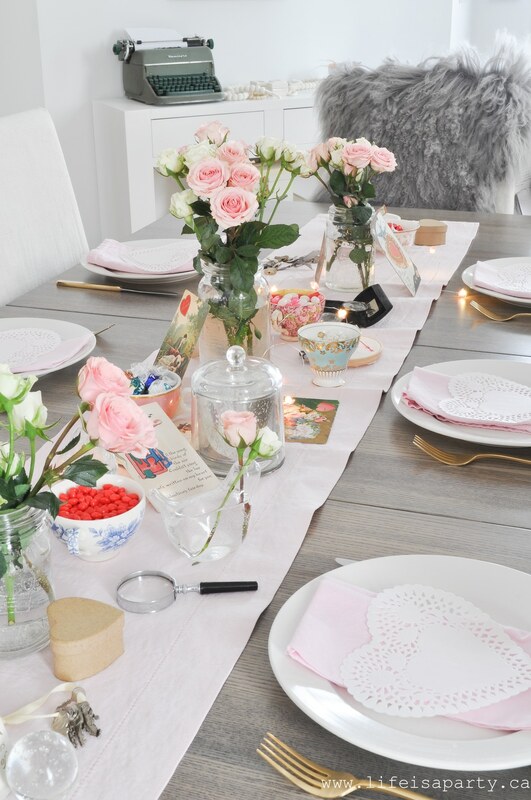 I had the loveliest get together with some blogging girl friends last week and I wanted to share the beautiful table. I had so much fun putting this table together. 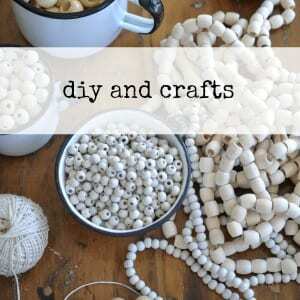 It’s very eclectic and fun and I really love the way it came together. 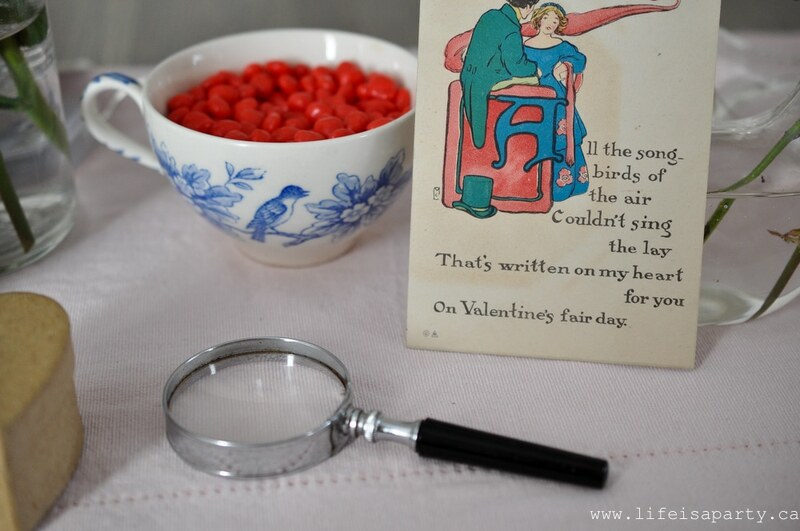 It feels Victorian and collected and so pretty -perfect for Valentine’s Day. 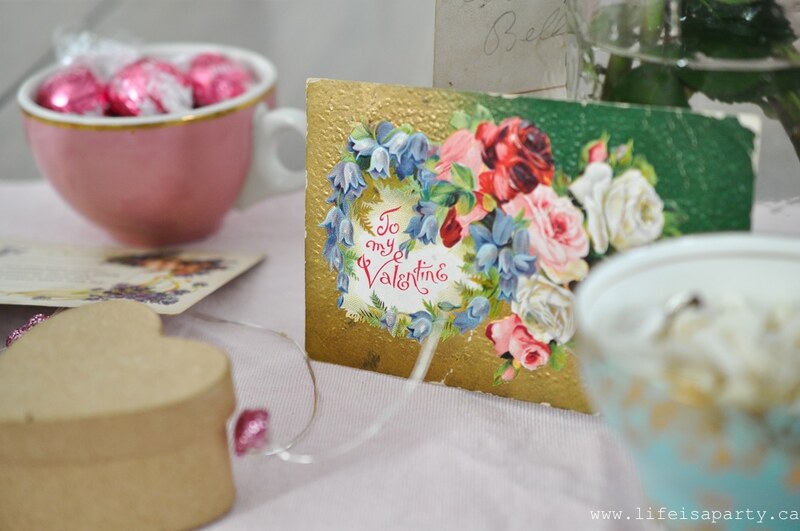 It all started with finding some antique Valentine’s Day postcards. I found some Christmas ones in December, and went back in January to see if there were any Valentine’s Day ones, and I even picked up some Easter ones to use later. They were only $1 each and felt like finding treasure. 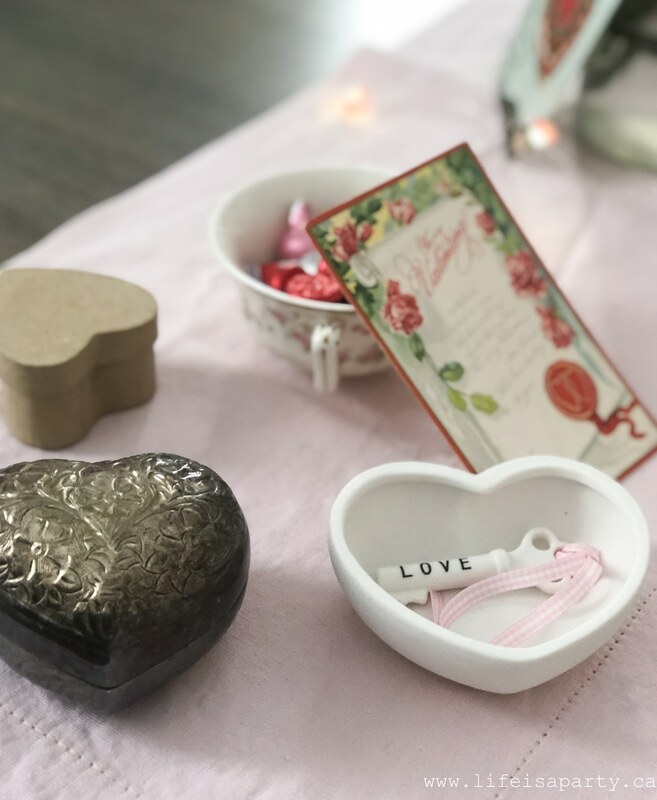 If you wanted to create a similar look and couldn’t find any antique Valentines, you could definitely find some free images on-line and make your own reproductions by printing them at home. 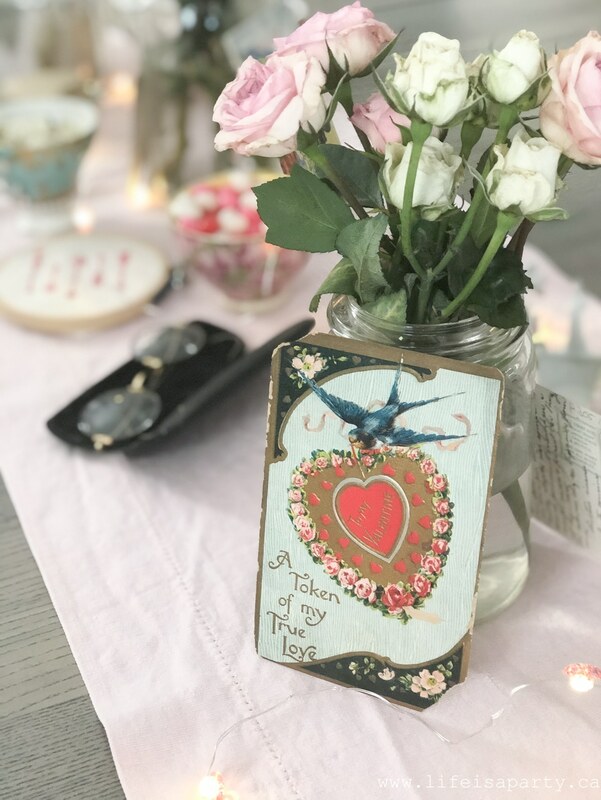 Of course we needed some flowers for Valentine’s Day and I found some pretty sweet heart roses and put them into some vintage mason jars. 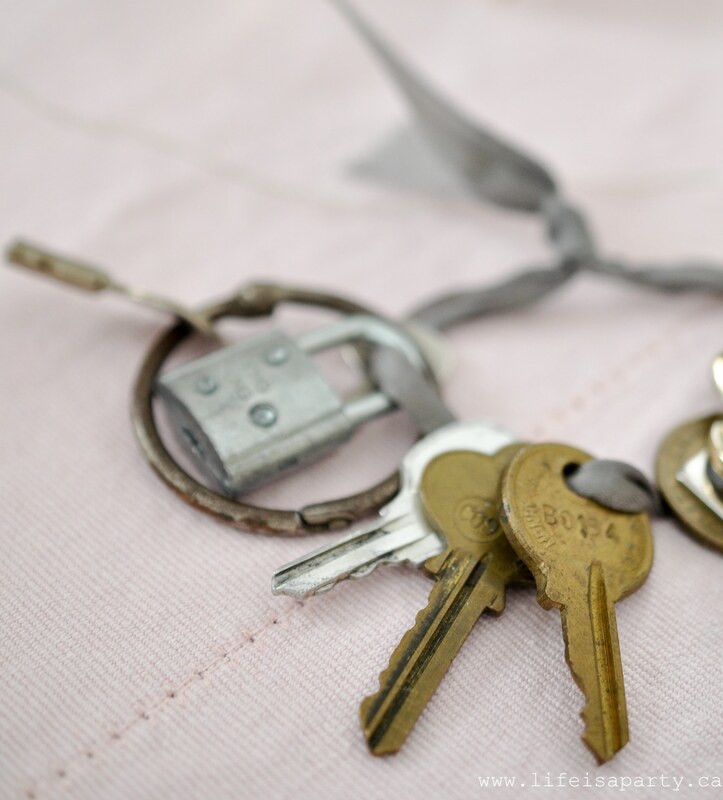 At the same antique mall on a different visit I found a few different sets of old keys and locks. They seemed perfect for Valentine’s Day to me and very “key to my heart”. 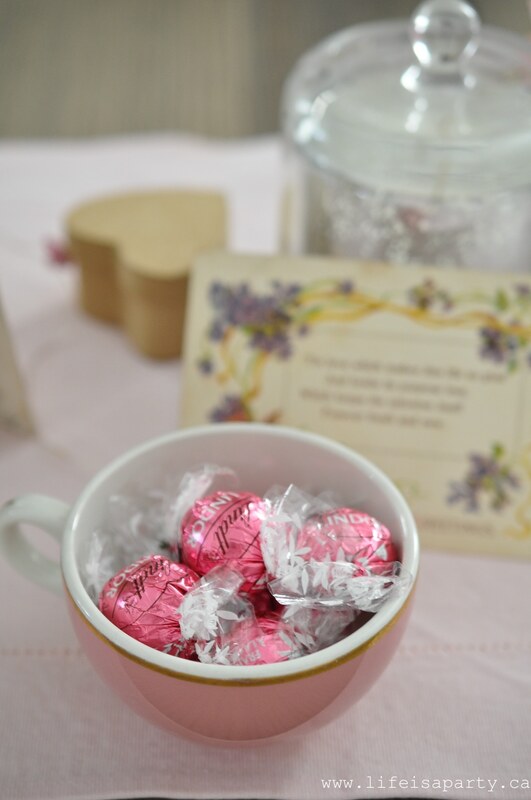 My one other purchase for the table was lots of yummy Valentine’s Day candies. 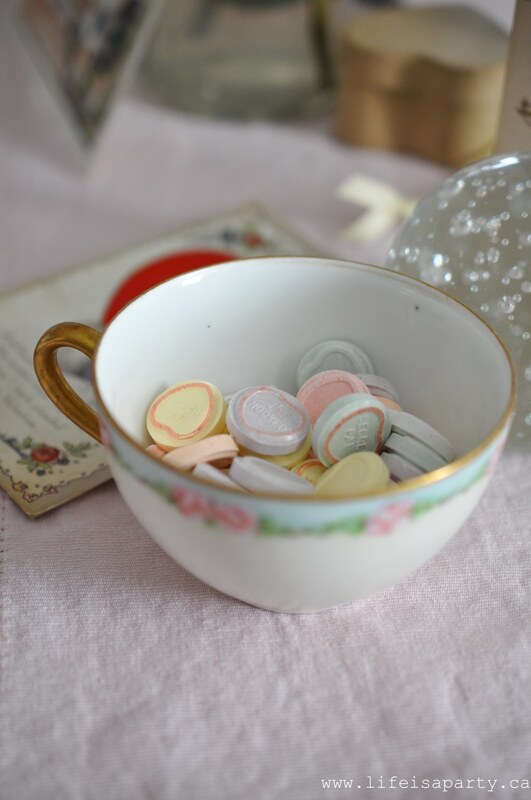 I knew I wanted to offer them in different vintage tea cups, so I went to the bulk store where I could buy lots of different kinds in small quantities. 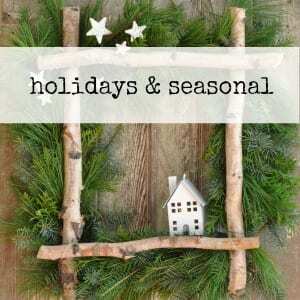 The rest of the little treasures are things I shopped my house for. 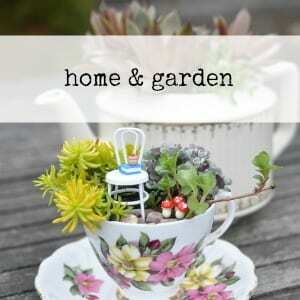 I went searching for cute little treasures and found lots around the house. The postcards definitely gave the table a Victorian and antique feel so I went with that. 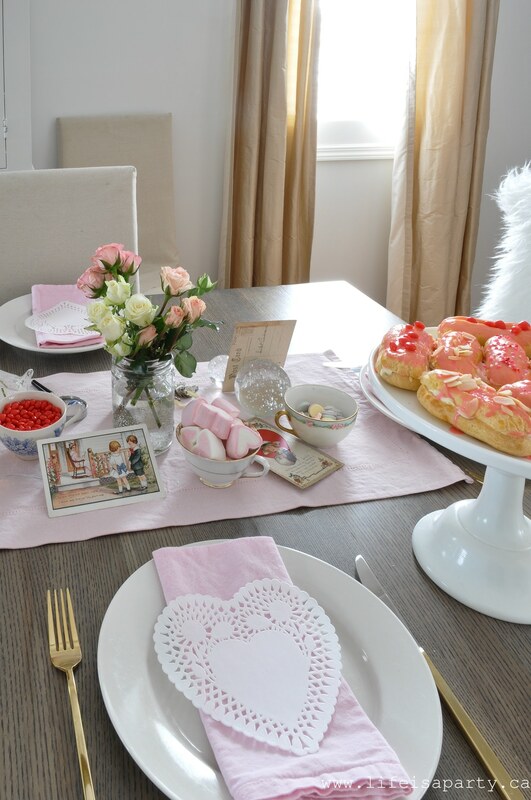 As I collected bits to added to the tablescape I was sort of thinking of a little story in my mind -and this is a little trick to styling. 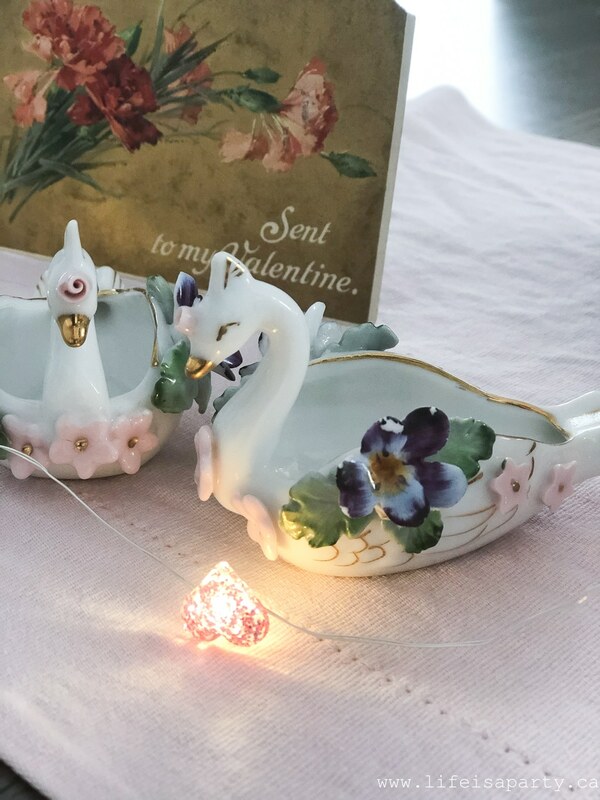 I was imagining an old fashioned lady, working away on her Valentine’s cards -writing some to send to others, and reading the ones she’d received. 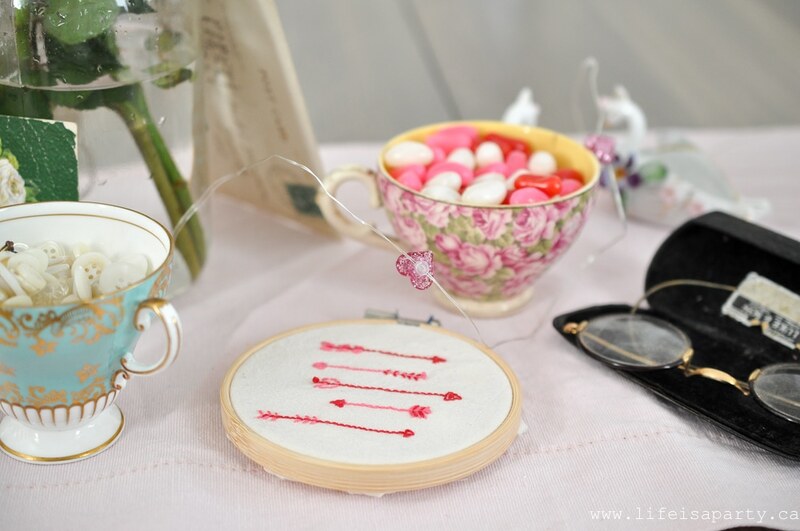 There’s a little sewing she might have been working on too, with her glasses and buttons. 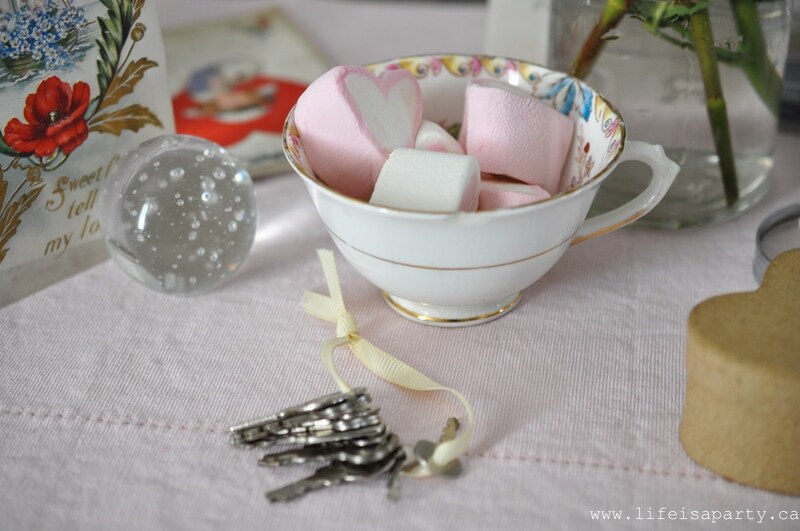 And then lots of her other treasures -the swans, the flowers, her keys. 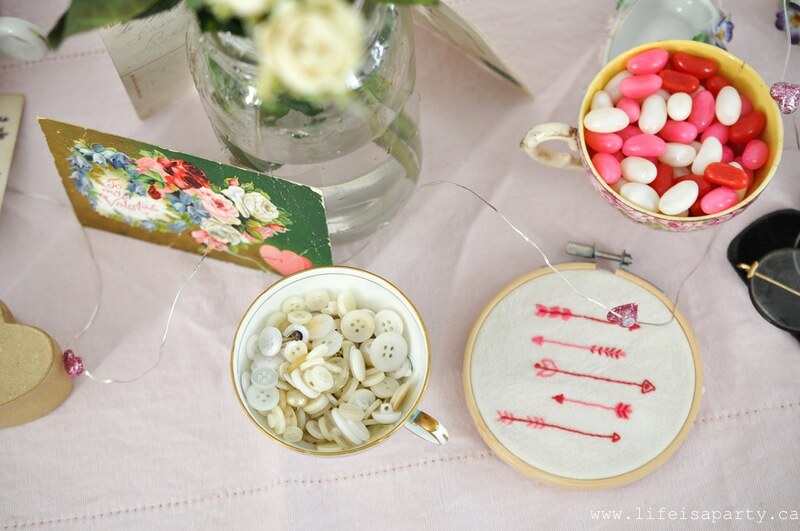 And then lots and lots of teacups filled with treats. I imagined it all pushed off the table and into the centre so she could come back to it. 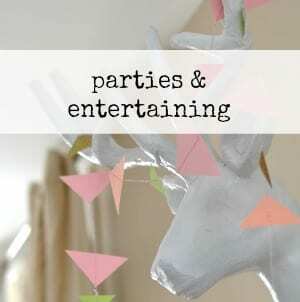 It’s really fun to do a really detailed table like this, especially for friends who love decor and decorating, because as you’re sitting there, lingering and chatting, there’s so many interesting things to notice and enjoy. For the table setting I kept it pretty simple with white plates, pretty gold cutlery, and unironed pink cotton napkins. I layered a pretty pink paper doily on top of each plate -it seemed perfectly old fashioned to tie in with everything else. This is my favourite table I’ve put together in a long time. 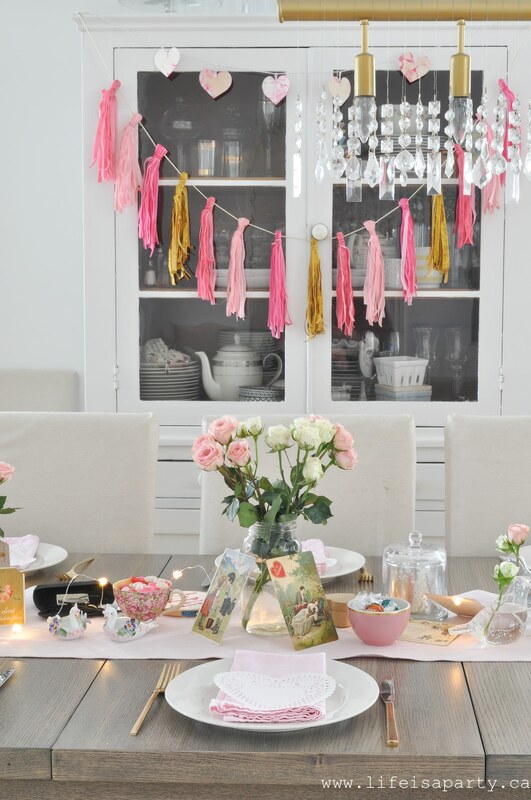 Hope it inspires a little Valentine’s Day decorating for you too. Tomorrow I’ll be sharing the menu from the party. I had guests who were keto, gluten-free, dairy-free, vegan, and those that had no restrictions. It was a little bit challenging to come up with a menu that worked for everyone. 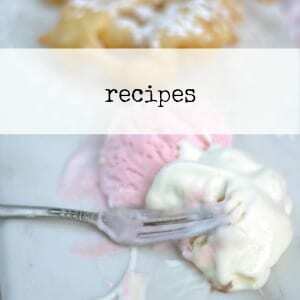 So I’ll be sharing what I came up with tomorrow, and tips for entertaining guests with lots of different dietary needs. 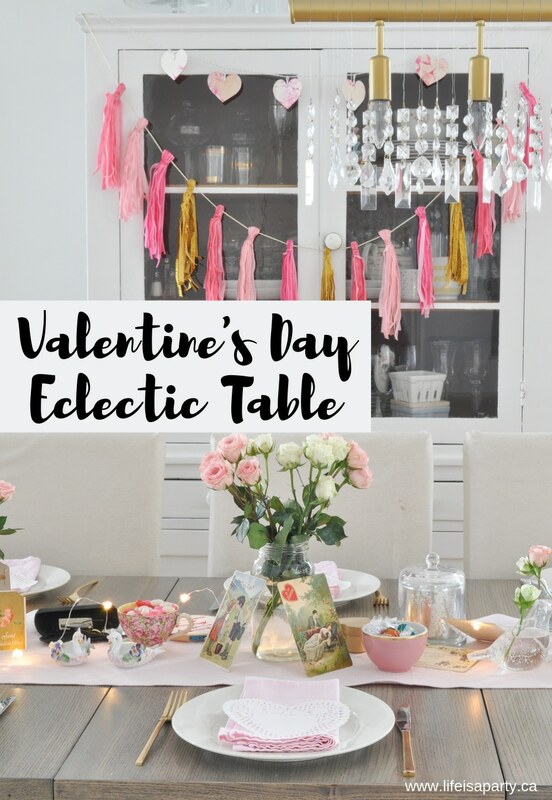 With a pretty Valentine’s Day Eclectic Table like this one, life really is a party! 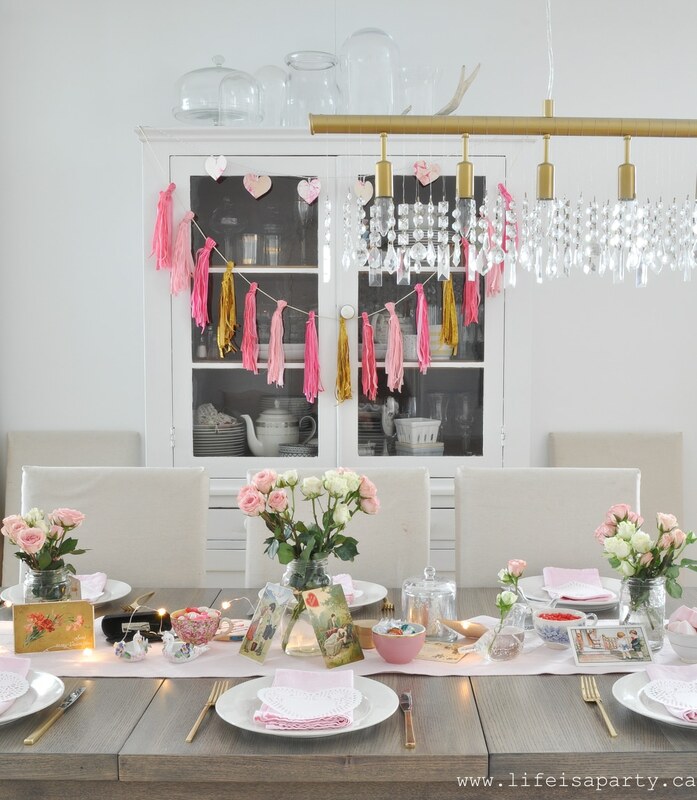 Those are beautiful table decor ideas for this Valentine’s day. I love how everything looks, the roses are gorgeous!